The weather is warming up and the Finger Lakes area is getting ready for another splendid year ahead. Attractions, events, music, dining and stupendous scenery abounds no matter the season. Finger Lakes Luxury Rentals is situated here in the quaint Village of Skaneateles and within driving distance to many fine local attractions. The typical April showers are always needed and welcomed as our beautiful countryside comes to life after a long winter of hibernation. Regardless of the weather, Skaneateles and the surrounding Finger Lakes region continues to bring you a chance to explore and experience all there is to offer. On your next trip (or perhaps your very first) to Skaneateles, we would like to welcome you to a perfect location when you are looking for places to stay in the Finger Lakes. As people look more towards a personalized vacation and accommodations, our meticulously maintained luxury rentals are extremely popular. Motels have long been the choice of travelers and visitors, but today’s world has changed. Having peace, tranquility, room to move around and the ability to stay in a fabulous private home to call your own makes for an excellent vacation location. 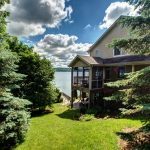 Finger Lakes Luxury Rentals can provide a memorable stay in one of our seven exquisite properties, many of which are located on or very close to Skaneateles Lake. Spring is the perfect time to recharge and prepare for the summer season ahead. Our lovely homes can accommodate a romantic get-away for couples, a family vacation, and even larger events such as reunions and weddings. Each home is furnished in high quality items, a full kitchen and plenty of space for the privacy you and your family deserve. Imagine being able to see gorgeous views out your windows, sitting on the patio and watching the sun rise over the lake. Imagine a vacation where everything is right at your fingertips. That is what Skaneateles vacation rentals are all about. Arts, culture, the outdoors – all these and more just for you! Schweinfurth is a multi-arts facility in Auburn, offering a series of five different exhibitions yearly. In addition, the Center offers art classes, fiber arts workshops and programs including music, film, poetry and storytelling. A gift shop is also on-site. Comprised of the Musical Theater and Youth Theater, the Merry-Go-Round Playhouse is known as the “Broadway of the Finger Lakes.” Offering six musical performances in the historic carousel building in Emerson Park on Owasco Lake during the summer and fall, the Playhouse’s Youth Theater tours the state providing curriculum-based performances and workshops. The New York Wine & Culinary Center promotes the appreciation of New York wine and food through educational programming, partnerships and its own restaurant and tasting bar. Sightseeing, dining and theme cruises on Skaneateles Lake & the Erie Canal. Hiking trails, picnic area & outdoor displays. Central NY’s largest ski resort and indoor waterpark. The time of rebirth and all things new, this is the epitome of Spring. 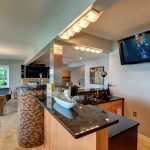 Finger Lakes Luxury Rentals will see to it that your vacation in the Finger Lakes is one that will make for lasting happy memories. Be sure to view our PROPERTIES and contact us to make your reservations today.